Located in a small, flat prairie valley and surrounded by 500-foot bluffs -- a surprise in the flat Midwest -- La Crosse was named by an explorer in 1805 after he spotted a group of Native Americans playing a sport with sticks he thought resembled the staff traditionally carried by the Bishop of Notre Dame. The city, which was settled some 35 years later, went on to become one of Wisconsin's largest centers for lumber and sawmills. 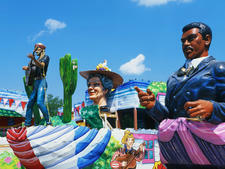 Today, the city, a stop on Upper Mississippi River cruises, offers visitors a mix of historic homes, scenic vistas and an intriguing blend of Scandinavian, German and Irish cultures. If you've got the legs for it, take a hike up Grandad Bluff, mentioned by Mark Twain in "Life on the Mississippi," where the view of the Mississippi valley below encompasses three states: Wisconsin, Minnesota and Iowa. 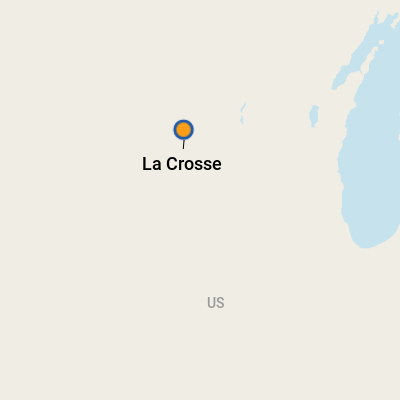 The United States dollar is the only currency accepted in La Crosse; credit cards are also widely accepted. 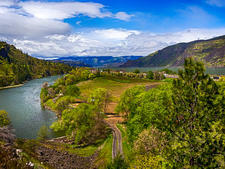 Cruises on the Columbia River and its largest tributary, the Snake River, have long focused on the history of the Lewis & Clark expedition through the area and the Pacific Northwest's award-winning wine region. 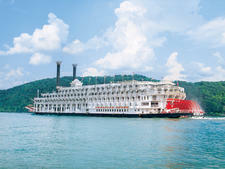 Yet, for those interested in more than history and wine, there's plenty of outdoor fun to be had, and cruise lines are taking notice. For some cruisers (namely on Lindblad Expeditions and UnCruise Adventures sailings), biking, hiking, kayaking and rafting excursions are included as part of the cruise experience. For those on other lines, you'll need to make your own plans (or pay extra for an active excursion offered by your cruise line). The best ports of call for independent arrangements are The Dalles and Astoria, both in Oregon, and Richland and Clarkston, both in Washington. Here are some of the active pursuits you can have on a cruise along the rivers of the Pacific Northwest.